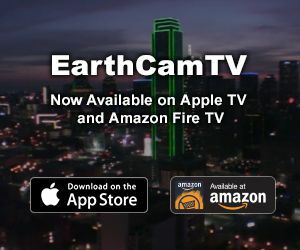 EiffelCam is a camera/computer providing near-realtime imagery of the world's most recognized structure. Webcam image updates every minute. Check out Reser Stadium, home of Oregon State Football. Features daily time lapses of the field, as well as time lapse videos of the construction and other events that took place there. Image refreshes every 60 seconds. The Monterey Bay Cam offers a sneak peek at the view from the aquarium's oceanview decks. From this vantage point, you can identify a number of the birds and sea mammals that find refuge here. Windows Media Streaming video. Two aerial webcams located in Liebefeld, switzerland, overlooking the town and a view of the skyline of the countryside. Webcam images update every minute. Two webcam views of the slopes and apartments located around Sauze d'oulx. Also features 24 hour archives. Images update every 5-10 minutes. Webcam from the Swiss Ski Resort of Belalp/Brig near Zermatt and Saas-Fee. A unique view of a flower shop located in Switzerland. Webcam footage is Windows Media Streaming. Now Cali features 2 live cameras showing 2 cats, Cali and Choco. Webcasting 24/7 from Los Angeles, California, USA! Las Galletas harbour and beach, in Costa del Silencio, Arona. The CarterLake.org weathercam has been providing live images in Carter Lake, Iowa, since Sept. 23, 2004.